GERMANTOWN (WPVI) -- Philadelphia police are investigating a crash involving a police SUV in the city's Germantown section. It happened at 8:45 a.m. Friday in the 6100 block of Stenton Avenue. Video from Chopper 6 HD showed a police SUV and a red sedan which appeared to have collided. The police vehicle had visible damage to the front driver's side bumper. The sedan had damage to the front passenger's side bumper. 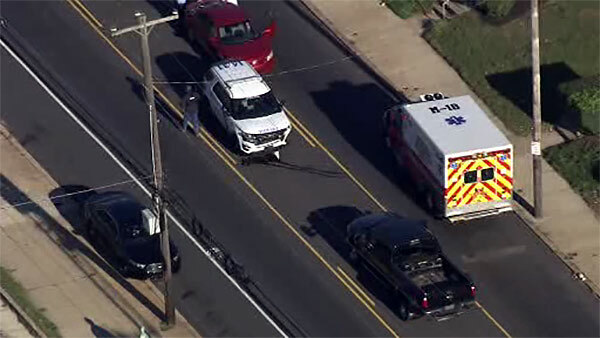 Action News is told the 14th District police officer was taken to Roxborough Memorial Hospital in stable condition. The other driver was treated on the scene for injuries described as minor.